The original emphasis was on the liberal arts, social sciences, basic science, agriculture, and medicine, but (partly as the result of a national educational reform programme) the curriculum was expanded to provide more technology-based and vocational courses and postgraduate training. 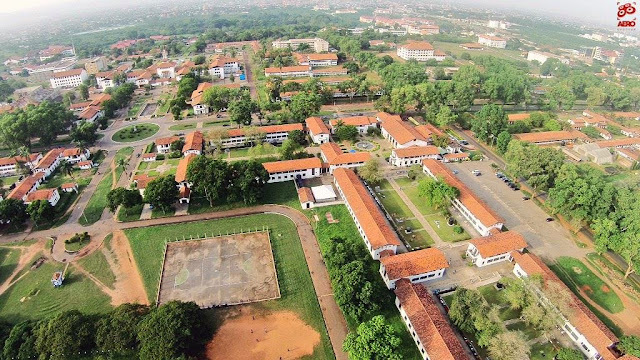 The university is mainly based at Legon, about twelve kilometres northeast of the centre of Accra. The medical school is in Korle Bu, with a teaching hospital and secondary campus in the city of Accra. It also has a graduate school of nuclear and allied sciences at the Ghana Atomic Energy Commission, making it one of the few universities on the Africa continent offering programmes in nuclear physics and nuclear engineering.